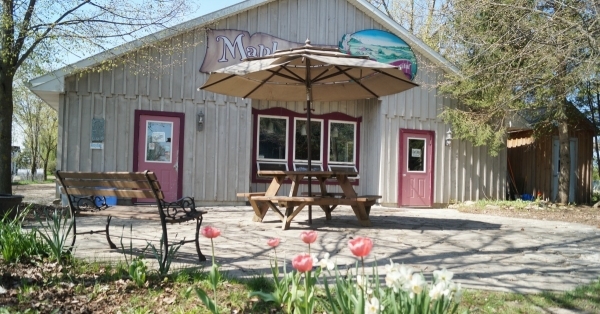 Mapleton's Organic Dairy is a family owned and operated farm. It is certified organic by ECOCERT Canada. Located in picturesque Wellington County, Ontario the farm is approximately 45 minutes northwest of Kitchener-Waterloo and 40 minutes northwest of Guelph. Mapleton's Organic provides healthy, local, and environmentally sustainable products produced in their on-farm dairy. It is a core belief of Mapleton's that people should have the opportunity to see their food being produced up close, so guests and visitors are welcome. Visitors can drop by during regular business hours or make arrangements to visit for a special event. Mapleton's also hosts tours to help student and community groups to gain a better understanding of how their food is produced. 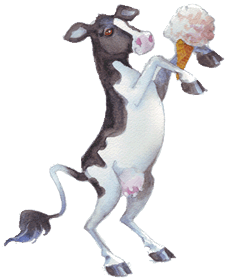 All Mapleton's products (ice cream, frozen yogurt and fresh yogurt) are produced using milk from the herd of 70 dairy cows. The Mapleton's farm is home to many other animals: young dairy animals; pigs for organic pork; free-range chickens and turkeys are added to the mix each summer. A variety of other animals including alpacas, a miniature horse, a number of cats and kittens, and an Australian Shepherd named Bliss also call Mapleton's their home. Feed for the dairy herd is grown on the farm and the resulting manure is composted and then used to fertilize the fields. Additional crops such as spelt, soybeans, corn, and pumpkins are grown for human consumption. For more information about Mapleton's farming philosophies visit here. In 1980, Ineke Booy and Martin de Groot, emigrated from Holland with their two daughters, Elske and Arwa. They began with a 250-acre dairy farm and welcomed two sons, Egbert and Norman shortly thereafter. 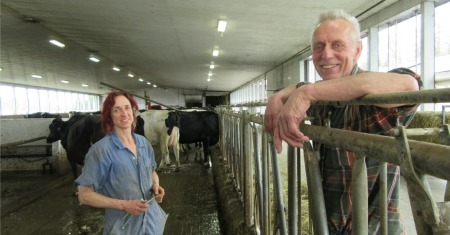 After farming conventionally for ten years, Ineke and Martin became concerned about the impact of conventional farming and how it affected human health, the environment, their animals and their community. As conventional farmers they were commodity producers; much of what they grew and produced was sold to other companies for further refinement. Call it mother's intuition or a gut feeling, but as their children grew and their community connections deepened, Ineke knew that something had to change and she and Martin began to consider their options. They knew they wanted to produce food and connect with the earth and their customers, but they weren't sure how this could look. After much thought and deliberation, the decision was made to become organic. This was a first step in the direction of further community connection. In 1999, Mapleton's Organic Dairy was officially born. In 2004, an ice cream café was added at the farm to better serve the growing number of visiting ice cream lovers. Product distribution soon expanded all over Ontario and eventually across the country. The farm now consists of 400 acres of certified organic land and a herd of 70 milking cows. Unfortunately, in 2005 Ineke's health began to decline and in 2015 she was officially diagnosed with Left Frontal Lobe Dementia, a rare type of dementia. In November 2017, the difficult decision was made for Ineke to move to a nearby long term care facility. As noted, Ineke was a driving force in establishing Mapleton's Organic and you can read more about her influence on Mapleton's and the family's journey with her illness here. Today, Mapleton's Organic is operated by Martin along with his daughter Arwa who is the Herd Manager of the farm. 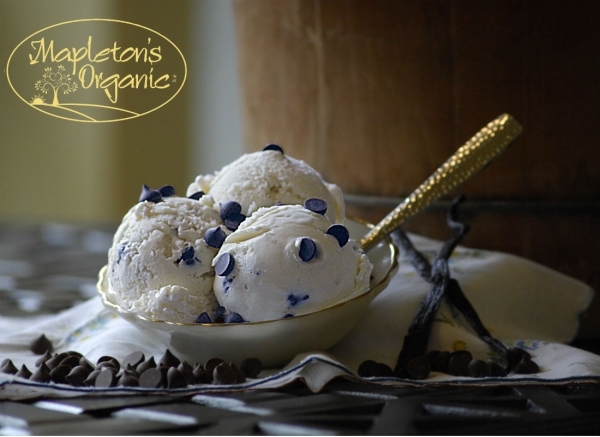 Mapleton's organic ice cream is sold across Canada, and Mapleton's fresh organic yogurt is sold throughout Ontario. Their Greek-style frozen yogurt is available in a growing number of locations across Canada. A classic flavour, Vanilla Chocolate Chip, available across Canada.